As i mentioned before in my blog I was able to have my first ever investment in FAMI. It is with the FAMI Save and Learcn Equity Fund. I could't contain my happiness knowing that at last I am able to practice what I preach. Save and Invest for the future all the way. 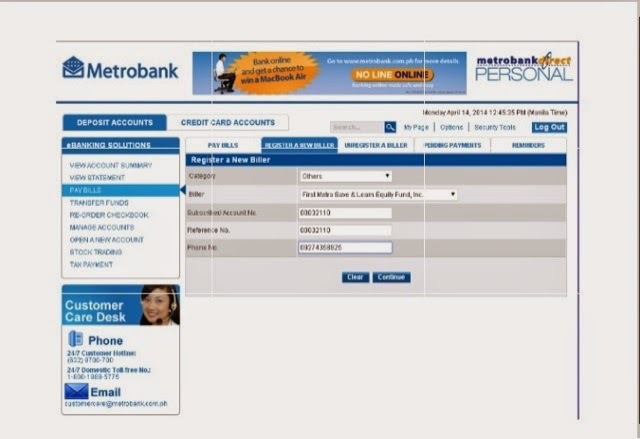 Since I alredy had my Metrobank ATM, I initially applied for a Metrobank Direct, Metrobank's online banking portal. I was able to ise my account fast and I believe that online banking is truly one of the greatest gift of all time. It's fast, efficient and accountable. 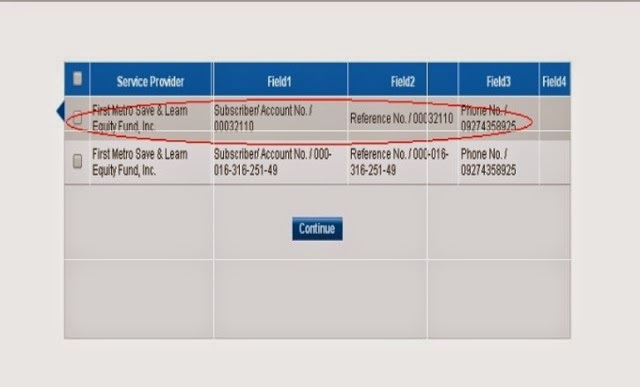 So How Are You Going To Pay for your FAMI additional investment via Metrobank Direct?? 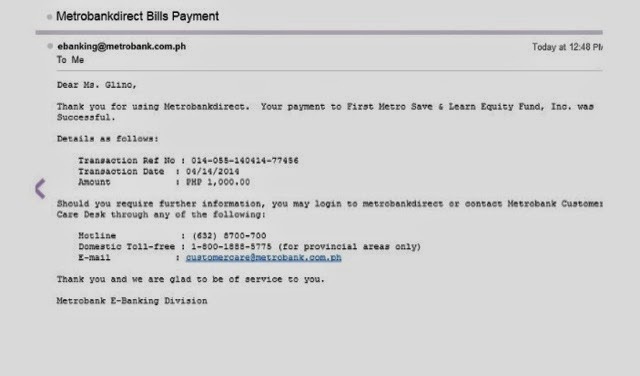 First, log in to your Metrobank Personal Account. 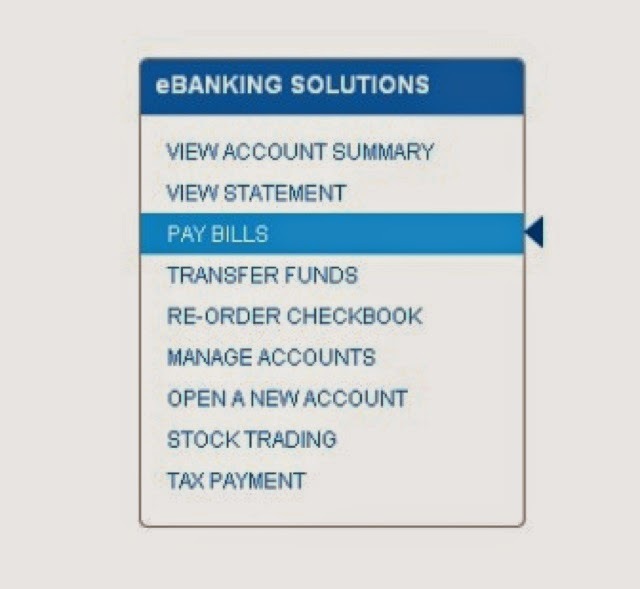 Select the FAMI account you enrolled in the Register New Bills section. Select the amount you are going to pay. You add an investment from 1000.00 and above. You will receive an email of your Successful Online Payment in just a few seconds. This week on my blog will be all about the many things you can do with your Metrobank Direct account so be sue to stay tuned.